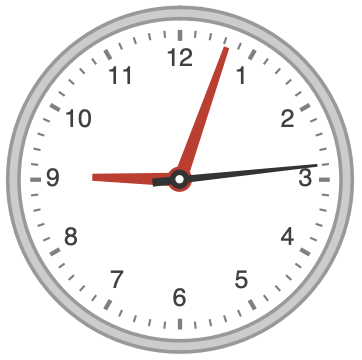 draws an analog clock face showing the local time with hours, minutes, and seconds. 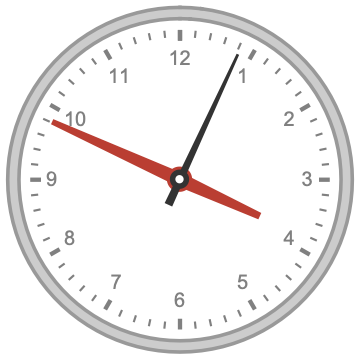 draws an analog clock face showing the time corresponding to an AbsoluteTime, DateObject, or TimeObject specification. 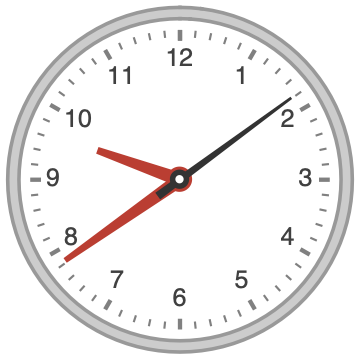 draws an analog clock face showing hour h, minute m, and seconds s.
draws an analog clock face showing the time corresponding to the date list in a DateList specification. 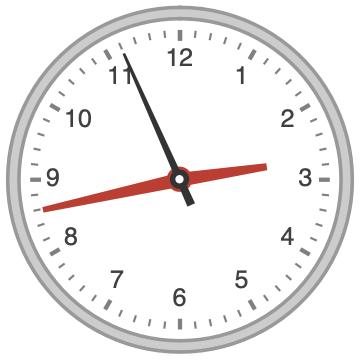 draws an analog clock face showing the time DateList["string"]. By default, ClockGauge will use the time zone specified by a TimeObject or DateObject. For time specifications that don't include a time zone, the time zone is taken to be $TimeZone. Undefined values or bad input is taken to be missing, and typically displays 0. A list of built-in settings for GaugeMarkers, GaugeFaceElementFunction, and GaugeFrameElementFunction can be obtained from ChartElementData["ClockGauge"]. A visual gallery is available in the Chart Element Schemes palette. By default, the styles used for the gauge markers, reference markers, and scale ranges are based on GaugeStyle.